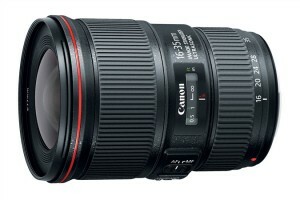 New Canon EF Wide Angle Zoom Announced – 16-35mm f/4 IS USM L – $1,199 retail, No 14-24mm f/2.8 Though?!!!!! 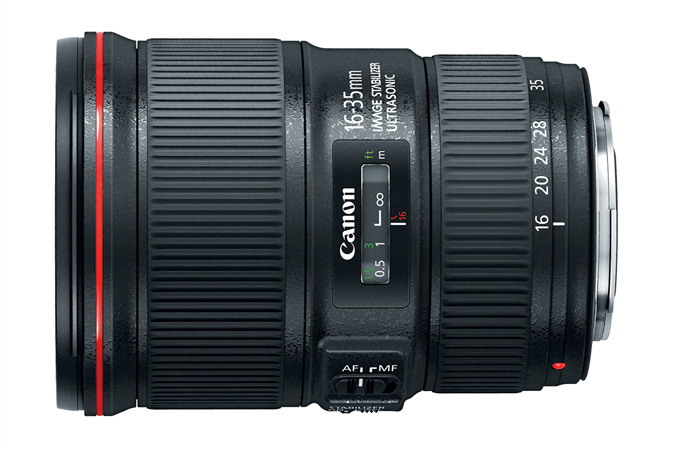 Canon announced a new full frame EF 16-35mm f/4 IS USM L lens today. Positioned to replace the 17-40mm f/4. Should be a nice lens…perhaps Canon’s sharpest wide angle zoom in the lineup. But….can we please have an awesome 14-24mm f/2.8 lens similar to the Nikon version? 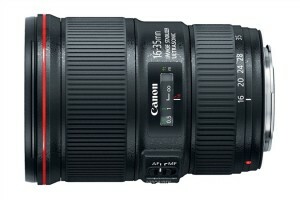 Or a 16-35mm f/2.8 mk iii ? Current Canon truly wide angle offerings are pretty weak with the exception of the 17mm ts-e, 24mm ts-e mk II and the new 24-70mm f/2.8 mk II (awesome lens). MELVILLE, N.Y., May 13, 2014 – Canon U.S.A., Inc., a leader in digital imaging solutions, is proud to announce two new wide-angle lenses and a new white color model of the EOS Rebel SL1 Digital SLR camera, just in time for summer. The introduction of the new Canon EF 16-35mm f/4L IS USM and the EF-S 10-18mm f/4.5-5.6 IS STM wide-angle zoom lenses provides Canon digital SLR camera users with the ability to capture stunning photographs and videos of spacious landscapes and many other iconic scenes. The EF 16-35mm f/4L IS USM lens is the first L-series wide-angle zoom lens equipped with image stabilization, providing professional photographers with expanded creative options, especially in low light. The EF-S 10-18mm f/4.5-5.6 IS STM wide-angle lens is an affordable option for entry-level DSLR users looking to enhance their images and videos with unique and creative perspectives. Since its introduction in March 2013, the EOS Rebel SL1, the world’s smallest and lightest digital SLR camerai, has provided photographers of all levels with a high-performance digital SLR in a small, compact camera body. The new white EOS Rebel SL1 Camera Kit is complemented by a matching white EF-S 18-55mm f/3.5-5.6 IS STM lens and offers a stylish alternative for photographers who like to stand out from the crowd. Fully compatible with all EOS Digital SLR cameras including full-frame models like the EOS 5D Mark III and EOS 6D Digital SLR cameras, the compact and lightweight EF 16-35mm f/4L IS USM ultra wide-angle zoom lens offers high image quality and an Optical Image Stabilizer (IS) for shake correction up to four shutter speed stepsii, making handheld shooting possible in dimly lit scenes where camera shake can occur. In addition, an intelligent CPU in the lens automatically selects the optimal IS mode by recognizing differences between normal handheld shots and panning. This technological advancement supports a greater range of creative expression for photographers in otherwise difficult shooting situations, such as dark indoor scenes where flash photography is prohibited, or in places where a tripod cannot be used, or when shooting at low ISO speeds. The EF 16-35mm f/4L IS USM ultra wide-angle zoom lens features newly developed, high quality Canon optics that incorporate three GMo (Glass-Molded) aspheric lens elements, including a large-diameter aspheric lens, which help improve image quality by correcting aberrations. Two additional UD lens elements help reduce chromatic aberration from edge to edge throughout the entire zoom range for excellent image quality with high resolution and contrast. The lens also features enhanced fluorine lens coatings on the front and rear lens surfaces to repel dust particles and help ensure superb color balance while minimizing ghosting. The inner focusing and ring USM offer silent, fast and accurate autofocusing. Full-time manual focus adjustment is available in autofocus (AF) mode. A nine-blade circular aperture creates beautiful, soft backgrounds. A new compact four-group zoom system provides a minimum focusing distance of 0.28m/11 inches throughout the zoom range and a maximum magnification of 0.23x at the telephoto end for outstanding performance. Created to be a great companion lens for the Canon EOS 70D, EOS Rebel T5i, EOS Rebel SL1 and other EOS Digital SLR cameras with APS-C size image sensors, the EF-S 10-18mm f/4.5-5.6 IS STM lens expands Canon’s line of Stepping Motor (STM) lenses. For entry-level users, this affordable wide-angle lens offers the ability to shoot creative, high-quality images and video in tight indoor locations such as a cozy corner table in a restaurant or unique vacation photos where the subject is close up, yet the surrounding area can still fill the frame. The EF-S 10-18mm f/4.5-5.6 IS STM ultra wide-angle zoom lens features a compact and lightweight design with an Optical Image Stabilizer for shake correction up to four shutter speed stepsiii, enabling handheld shooting in low light. The lens’ stepping motor and newly designed focus mechanism are ideal for Canon EOS Movie Servo AF (available on EOS 70D, EOS Rebel T5i and EOS Rebel SL1 cameras) to provide smooth, quiet and continuous autofocusing during video shooting, as well as when taking photos. The EF-S 10-18mm f/4.5-5.6 IS STM ultra-wide zoom lens features one UD lens element to help reduce chromatic aberration throughout the zoom range for excellent image quality with high resolution and contrast. It also features enhanced multi-layer lens coatings to help ensure superb color balance while minimizing ghosting and flare, while a seven-blade circular aperture creates beautiful, soft backgrounds. Compared to the EF-S 10-22mm f/3.5-4.5 USM wide-angle lens, the EF-S 10-18mm f/4.5-5.6 IS STM ultra wide-angle zoom lens is nearly 20% smaller and 38% lighter. When combined with a compact digital SLR, such as the Canon EOS Rebel SL1 camera, the smaller size makes it very convenient to carry with the camera when traveling. The compact four-group zoom optical system provides a maximum magnification of 0.15x at the telephoto end. The wide-angle zoom range of the new EF-S 10-18mm f/4.5-5.6 IS STM is a perfect complement to the currently available EF-S 18-55mm IS and EF-S 55-250mm IS STM zoom lenses. The Canon EF 16-35mm f/4L IS USM and the EF-S 10-18mm f/4.5-5.6 IS STM ultra-wide zoom lenses are scheduled to be available in June for estimated retail prices of $1,199.00 and $299.99, respectively. 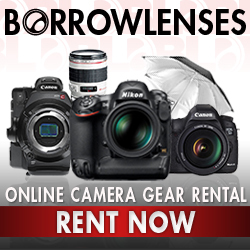 For more information about Canon EF Lenses visit: www.usa.canon.com/cusa/consumer/products/cameras/ef_lens_lineup. The Canon EOS Rebel SL1 and EF-S 18-55mm f/3.5-5.6 IS STM lens kit in white is scheduled to be available at the end of June for an estimated retail price of $749.99. For more information about the white Canon EOS Rebel SL1 Digital SLR Camera kit and the full list of product specifications, visit www.usa.canon.com/eos. Canon U.S.A., Inc., is a leading provider of consumer, business-to-business, and industrial digital imaging solutions. With approximately $36 billion in global revenue, its parent company, Canon Inc. (NYSE:CAJ), ranks third overall in U.S. patents registered in 2013† and is one of Fortune Magazine’s World’s Most Admired Companies in 2014. In 2013, Canon U.S.A. has received the PCMag.com Readers’ Choice Award for Service and Reliability in the digital camera and printer categories for the tenth consecutive year, and for camcorders for the past three years. Canon U.S.A. is committed to the highest level of customer satisfaction and loyalty, providing 100 percent U.S.-based consumer service and support for all of the products it distributes. Canon U.S.A. is dedicated to its Kyosei philosophy of social and environmental responsibility. To keep apprised of the latest news from Canon U.S.A., sign up for the Company’s RSS news feed by visiting www.usa.canon.com/rss and follow us on Twitter @CanonUSA.